After last season’s Juventus away jersey introduced a classy design in yellow and blue, the new Adidas Juventus 2018-2019 away jersey brings a new color combination to the club. It was unveiled on August 21, 2018, and will be available to buy everywhere shortly. 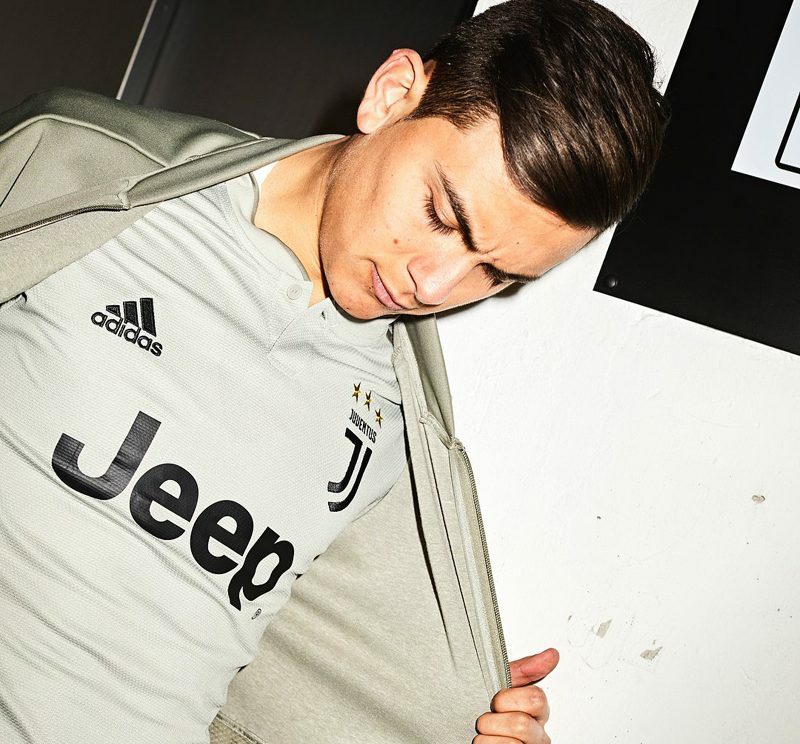 The new Juventus 2018-19 away kit combine the main color Sesame with Clay applications. 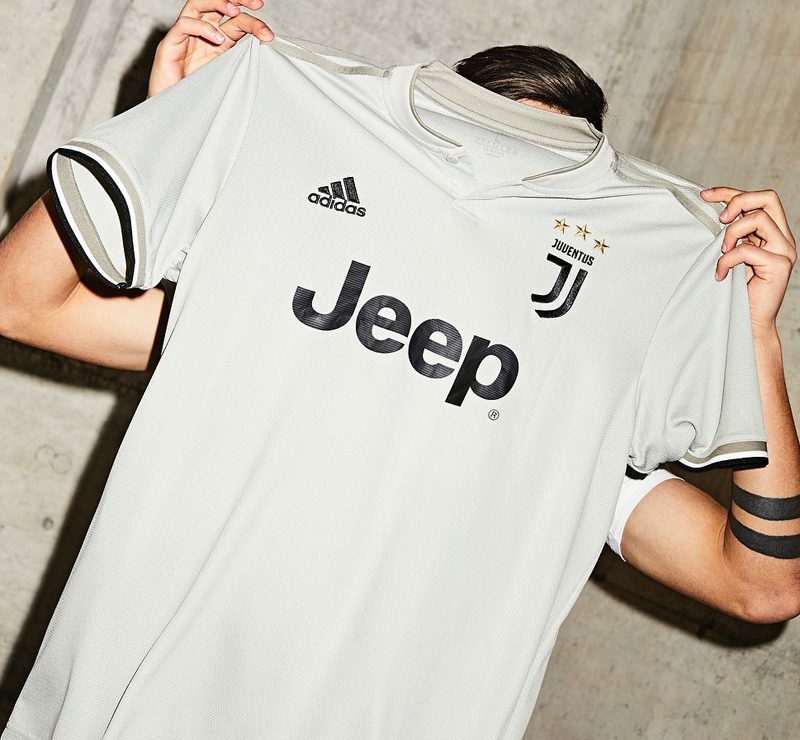 This creates a relatively dull but somewhat classy look for the Juventus 18-19 away jersey. 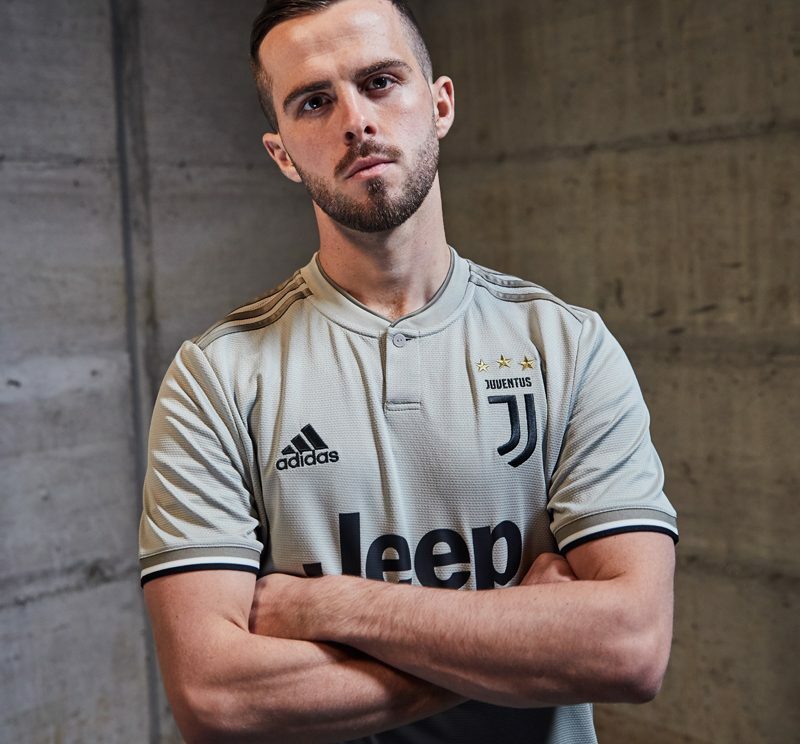 Design-wise, the Juventus 2018-2019 away shirt has a buttoned henley collar with trim along the top. The 3 Stripes sit on the shoulders, whilst the cuffs are part Clay, part black-white. 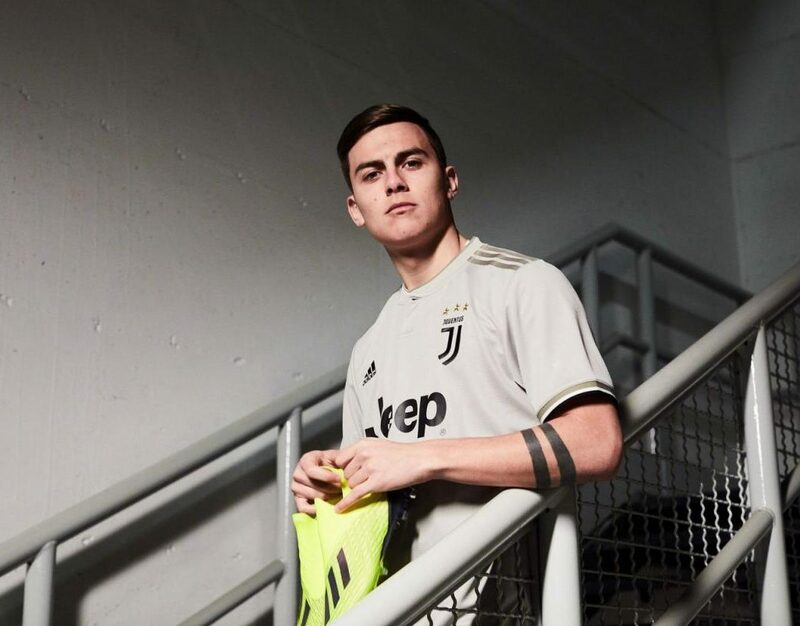 All logos on the front of the Juventus 18-19 away jersey are black – only the three stars above the ‘J’ crest are golden. The Juventus 18-19 away kit shorts are of the darker Clay color, whilst the socks are predominantly Sesame.